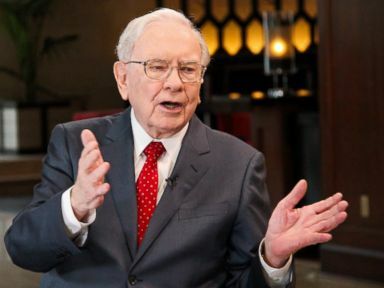 Billionaire Warren Buffett has hit back at Donald Trump over comments that the Republican nominee made during the debate on Sunday night, telling the candidate to offer “some tax facts” and blasting for not releasing his own returns. Experts have roundly discredited that excuse, saying that there are no legal hurdles preventing individuals under audit from releasing their returns. Most recently, he said he would release his tax returns if his Democratic rival, Hillary Clinton, released her deleted emails. Last month, the New York Times published what appear to be a few pages from the Republican nominee’s 1995 returns, which show a $916 million loss that suggests Trump could have avoided paying taxes for 18 years based on the net operating loss provision. His remarks clearly caught the attention of Buffett, who endorsed Clinton in early August. “I have copies of all 72 of my returns and none uses a carryforward,” Buffett said, referring to the accounting provision by which losses can be used to avoid paying taxes in future years. The billionaire investor, who is often called the Oracle of Omaha, and in his rebuttal to Trump, detailed his charitable contributions, some of which were used to make deductions from his tax bill. The Trump campaign did not immediately respond to ABC News’ request for comment.